The astrological sign of Virgo is related to all kinds of classifications (dictionaries, encyclopaedias, indexes, etc. 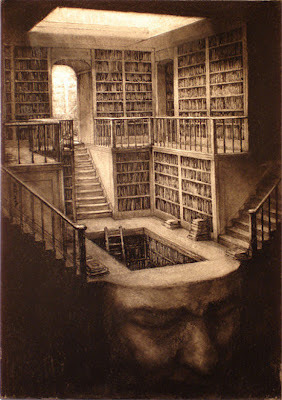 ), all the storing of information (words, thoughts, images, feelings, sounds, etc.) gathered during life both at a personal and collective level. Some of those data are fragmented and isolated by each individual to make up the essential material upon which ordinary thought forms and inner dialogues are based. Other data are hidden or available only through specific codes or states of consciousness. Free access to those data would easily mar the ego fiction upon which routine inner dialogues are based. Internal dialogues are persistent monologues and mental conversations that go on inside us. They are employed by the ego to preserve its existence and defend itself from the threatening intrusions of other information. The activity of this internal monologue is sustained by conditioning inherited from different sources (family of origin, society, environment, religious or cultural beliefs, ancestors, past lineage, etc.). It constitutes a vicious circle where the individual is trapped until he chooses to open up to other perspectives. Meditation techniques and shamanic practices usually serve this purpose. They teach the benefits of silence and of developing neutrality. Moving into a witness stance creates a gap in the internal monologue and allows it to be released without any fight or effort. The ability of developing neutrality and inner silence gradually suspends the habitual monologue and represents one of the best sources of spiritual protection. Learning to take time to be still, quiet and less extroverted is also a requisite in astroshamanic work. If I am always busy talking, chattering, doing and moving in the outer world, I am not able to listen to my inner guidance or multi-dimensional self, whose voice speaks peacefully and moves beyond the loudness of the internal monologues and their external reflections. A most typical practice to enhance silence and neutrality is meditation. There are many methods of meditation which change according to traditions. One typical form consists of sitting, keeping the back and head straight, and being aware of one’s breath. This does not mean that breathing is to be manipulated or done in a special way. What counts is to be aware of ordinary breath. “When thoughts, feelings or sensations arise, or when you become aware of sounds, smells and breezes from outside, simply allow the attention to go to them. Whatever comes up can be watched as clouds passing in the sky - you neither cling nor reject. Whenever there is a choice of what to watch, return to awareness of breathing”. Meditation, as well as shamanic work, requires discipline, patience and constancy. It is like agricultural activity and results cannot be achieved overnight. For some people it takes months before any noticeable benefit is seen. Sporadic efforts are not going to help and the key is always regular practice and the employment of a given structure. At the beginning it can be useful to dart from one practice to another as a way to make up my mind. Ultimately, I need to make a choice and commit myself to a specific path, unless I decide my path to be that of not committing to anything, and choose to commit to that. What matters is that I am aware of the tools that I use. If I take ten medicines at the same time, how can I realise which one is working? Certain positions of the eyes can help meditation and facilitate specialised non-ordinary states of consciousness. For example, if I move my eyes downward, I draw feelings and energy related to the Lower World or the unconscious mind. When I look straight, I attract what relates to the Middle World and the conscious mind, whereas when I look up, I access the Higher World, the superconscious mind and all the vision modes of the realities beyond the physical. Many teachers of meditation suggest the latter position of the eyes as it facilitates the connection with transpersonal realms. On the other hand keeping the eyes downward can draw emotional or unconscious issues and, unless I deliberately intend to invite them, this can affect the meditation. A much more detailed practice is employed to relate to specific Sectors. This entails using the eyes as a Sacred Circle and shifting the pupils toward the position of the Sector with which I intend to connect. It can also imply using the whole body and employ postures or dances that resonate with the Sector involved. One of the basic qualities of Virgo is the capacity of discrimination. This function, when applied to the internal monologue and the external dialogue, can allow me to retrieve and value information that supports my Intent of light and release whatever curtails it. By holding a neutral stance, through meditation and shamanic practices, I can check out the data in my mind before allowing it to circulate and coming to automatic conclusions. “It’s the, <therefore .......>, the <then that means .......>, and the <then I must be .......>, etc. kinds of comments that need to be suspended. Once we stop the habitual comments about what is happening we can move into more of a true <fact finding> or learning mode and out of a reactionary mode. We spend energy on deciding what thoughts serve the greatest potential in each situation rather than having our energy used up by programmed emotionality - that <ain’t it awful>, <I knew this would turn out bad>, kinds of thinking that paralyzes rather than helps us and the Universe. The second part of this process is consciously choosing not to voice <negative> or non-life affirming thoughts, feelings and beliefs. This conscious choice is made because of the realisation that what we voice, (whether internally through the vibrations of thought or externally with the vibration of sound) is an important part of our give-away to the Universe”. According to the tradition of the Sacred Cone Circle, negative thoughts or grievances can only be voiced out and released in specific shamanic practices, such as the Basic Ritual of the Sacred Cone, where the transformational function of the vertical axis is acknowledged and activated. When grievances are directed as an offer toward specific areas of the vertical axis, they reach dimensions that employ them for the highest. Conversely, if they are expressed in the horizontal axis (i.e. in the ordinary environment, both within and without), they create damages and spread like a virus. Some tribal traditions have a strong awareness of what serves best at a horizontal level and manifest it in their conventional phrases. For example, when some of these people notice in their thoughts or conversation anything that supports an Intent of light, they say “This is a story that needs to be told”. On the other hand, if they hear themselves or someone saying words or expressing thoughts of judgement, grievance or guilt, they say instead “That is a story that doesn’t need to be told”. For the latter case, in the Sacred Cone Circle, we say, often with a most delightful expression, “Grahe Ilibisi Pahai!” or “This is an exquisite delicacy for the Sacred Cone!”. Osho, The Orange Book, Rajneesh Foundation International, p. 103. Mattie Davis-Wolfe; David Thomson, “Big Windy Moon”, p. 9, Walking the Sacred Wheel, Sacred Circles Institute.